The cremation urn is a natural centerpiece for the memorial service table at the front of the funeral event center. 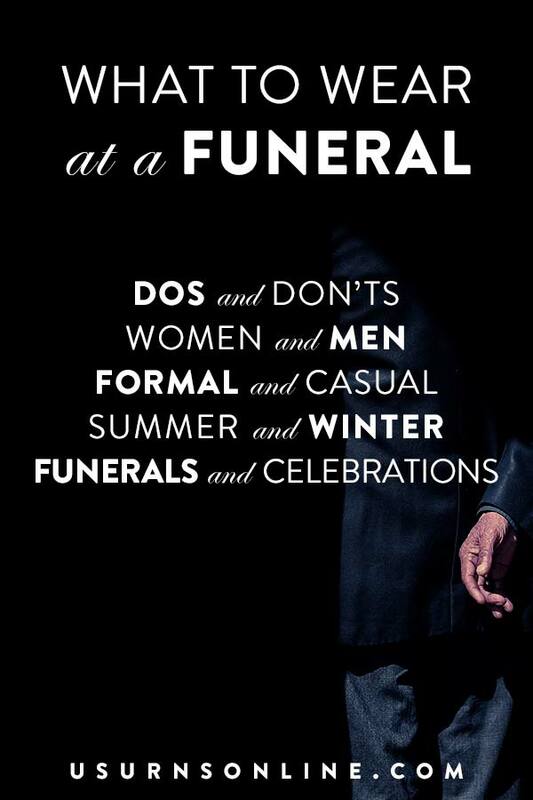 But you probably don’t want to just set the urn in the middle of a simple tablecloth – this is an opportunity to showcase the unique personality of your loved one. Their style may have been simple or ornate; their personality may have been outlandish or contemplative; their hobbies may have been reading or sports or gardening or anything else; whatever the particulars were, the way the urn and photo and flowers are arranged can reflect their warmth or class, their sense of humor or philisophical nature, their motherly affection or fatherly strength. The urn sitting on the table has their remains, but the memory of their life and love lives on in your hearts. 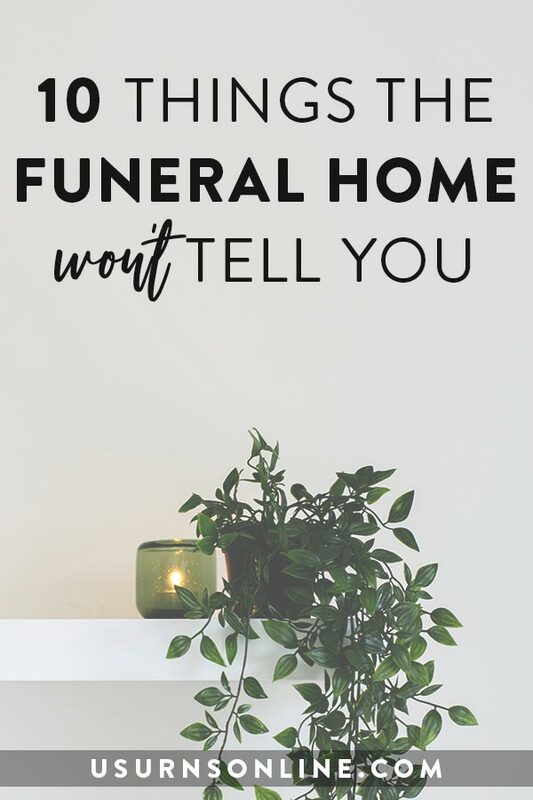 The way you decorate the table and accent the urn can serve as both a tribute to your loved one and an expression of your grief in honoring their memory. 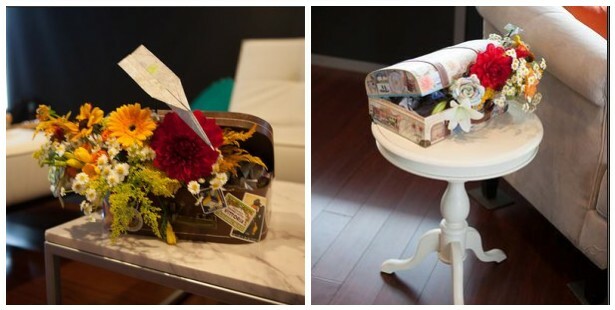 With these thoughts in mind, we have compiled at list of 14 funeral urn memorial service table arrangement ideas, which will hopefully help you capture a sense of the beauty of your loved one’s life and personality within the beauty of the memorial service table arrangement. The Glorious Tribute is a gorgeous floral accent, perfect for the urn and accompanying photo frame. The rich colored flowers include lilies, roses and mums, and features a centerpiece arrangement with matching photo frame accent. 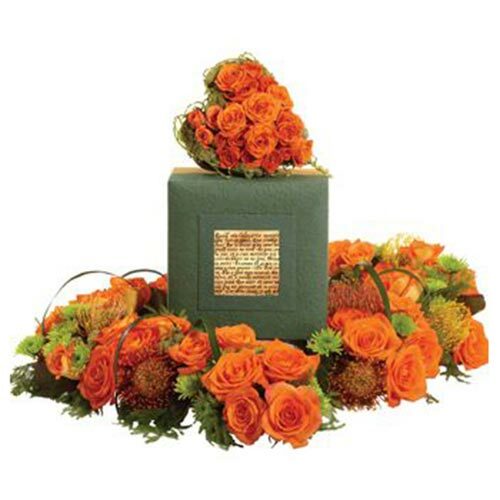 The brilliant red roses in the Circle of Remembrance memorial service table arrangement create a peaceful resting place for your loved one’s funeral urn. 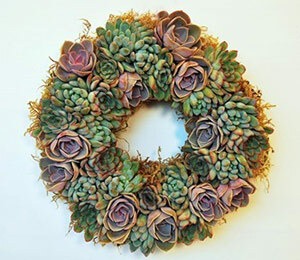 The rose wreath lays flat, surrounding the urn, while roses on steadily lengthening stems create a semi-circle which protects and beautifies the urn. 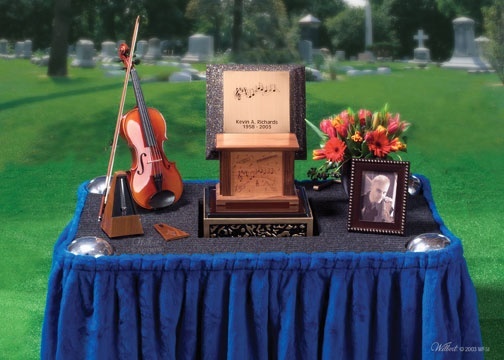 A popular memorial service table idea is to accent and surround the urn with items relating to a favorite hobby or pastime. Music, sports, fishing, hunting, gardening, motorcyles, cooking, gaming, homebrewing, lighthouses, sailing, religious affiliation, and many additional activities can be represented in the table decorations using the deceased’s treasured possessions. Use an attractive table cloth, add some light floral touches, and you will have a beautiful and meaningful memorial table arrangement in no time. 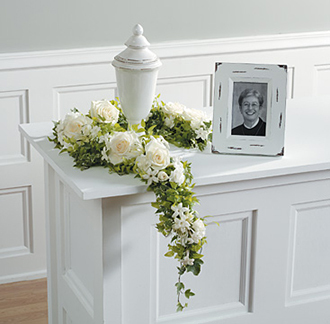 This elegant white rose urn wreath is the perfect element to convey restraint and modesty. 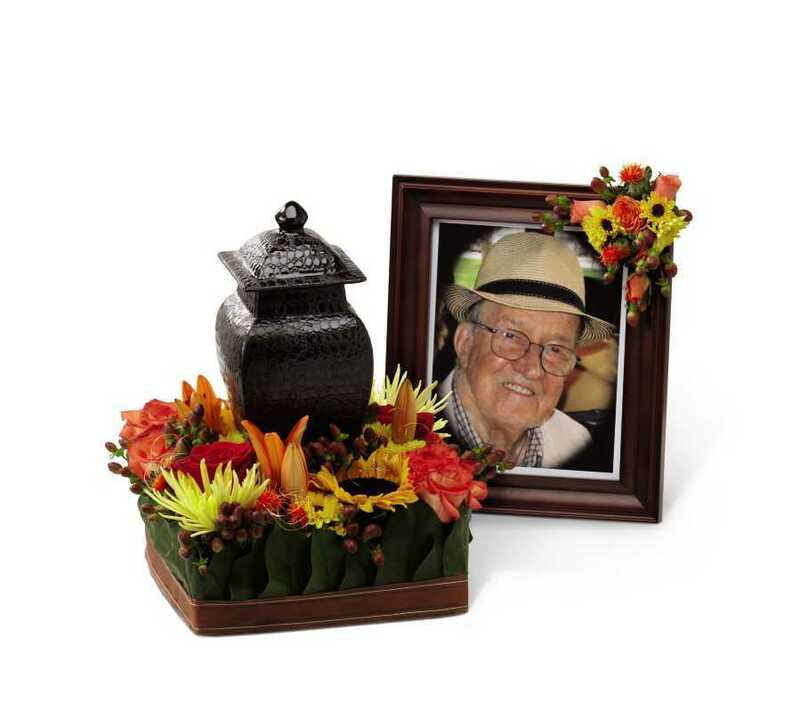 Paired with a white cremation urn and matching photo frame, this is all you’ll need to honor the memory of a loved one whose personality reflected class, elegance, and simple refinement. Rustic wood rounds support flowers and postcards in this elegant memorial service table arrangement. The postcards, collected from places traveled, put on display the personality of the free-spirited world traveller along with their antique and collectible decorative style. 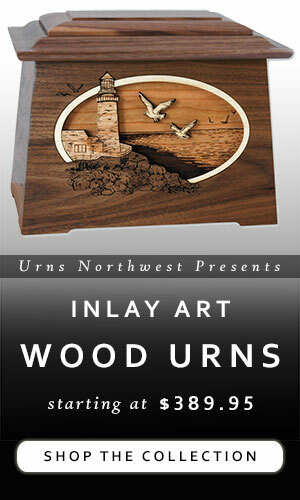 This arrangement works well with a homespun American-made wood cremation urn. A garden style floral arrangement, like the Tears of Comfort Urn Arrangement pictured above, evokes abundance of life and vitality. 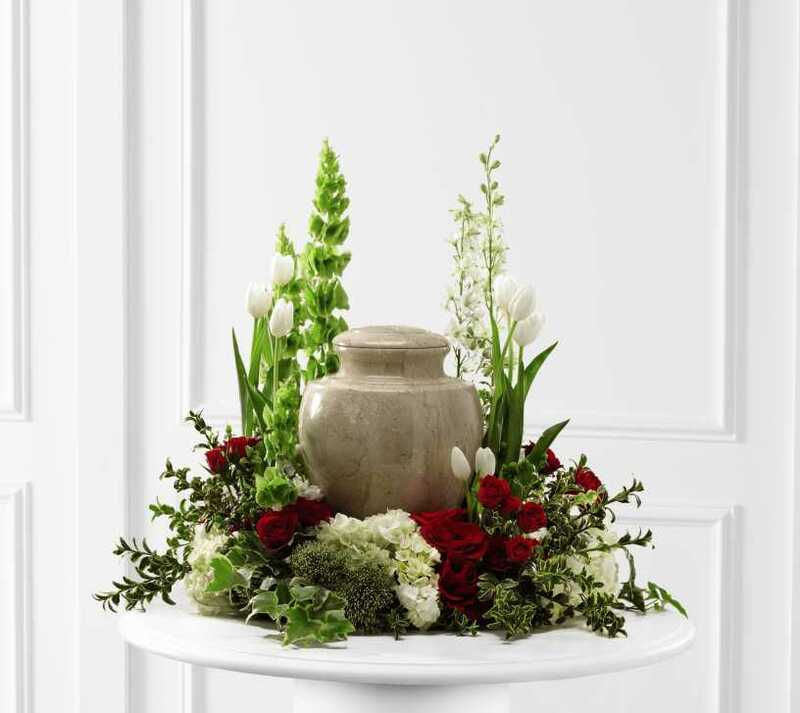 Set on a simple round table with the urn centered, colorful red roses and vibrant bells of Ireland combine with white tulips, hydrangea and larkspur to create a calming sense of joy, peace, and comfort. 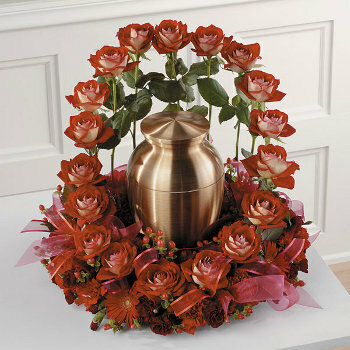 Use flowers to match and compliment the beautiful cremation urn you’ve chosen for your loved one. 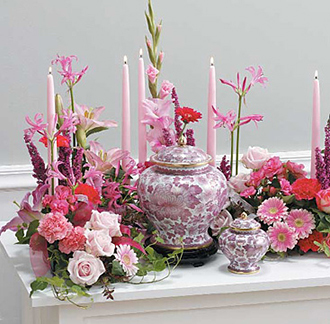 Pictured above, the Pink Blossoms Urn Arrangement presents a sprawling bounty of blossoms in varied shades of pink, with soft pink candles ascending to point their flames towards the heavens above. Many people enjoy collecting or model building as a relaxing pastime. 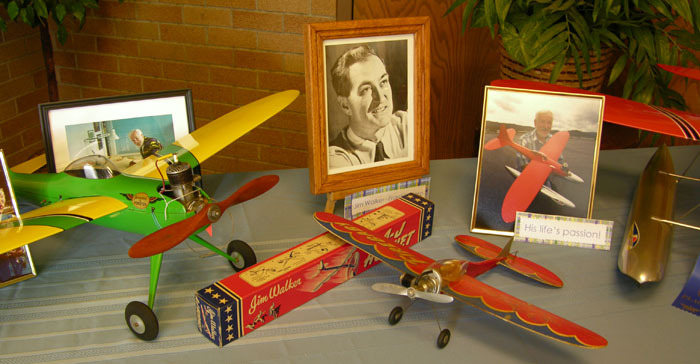 Whether they collect model airplanes, train sets, baseball cards, logo golf balls, comic books, fine wines, old typwriters, or anything else, you can easily integrate their collectibles into a lovely memorial display. 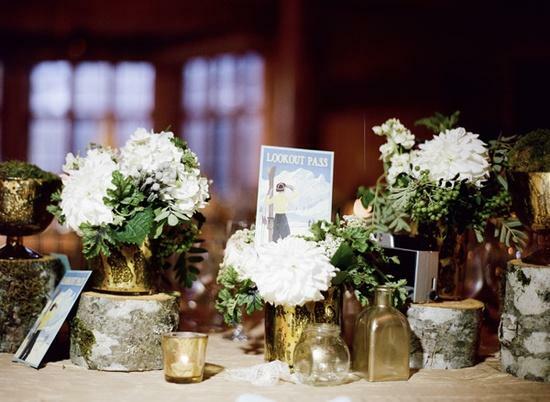 Try using matching and complimentary colors across each element to unify the collectibles, photos, urn, tablecloth, and flowers. 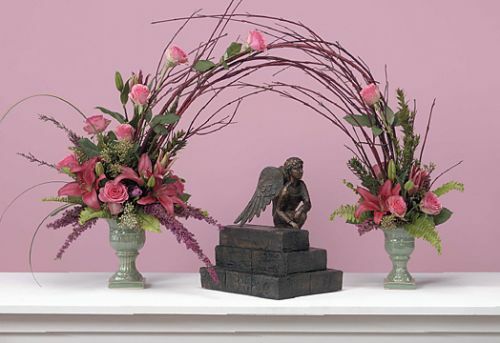 The stunning Pink Rose & Lily Memorial Arch highlights and accents the memorial urn, casting a brilliant bow of floral beauty around the urn while emphasizing the centrality of the urn itself. The cheery colors of vintage baby blue convey a sense of a soul who loved to travel the world. 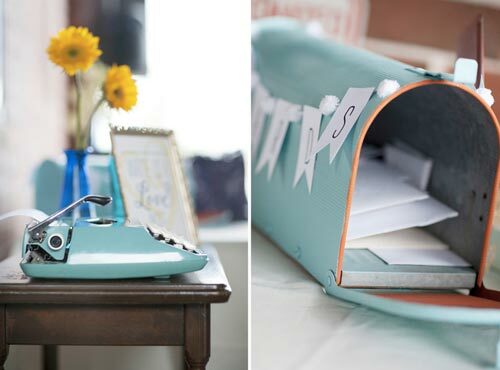 Incorporate the mailbox into the memorial service by offering letter paper and envelopes for attendees to write a goodbye note as an expression of love and grief. The Memorial Garden with Branches Urn Display is a gorgeous floral arch with whispy dogwood or birch branches which surround and enhance the memorial urn. 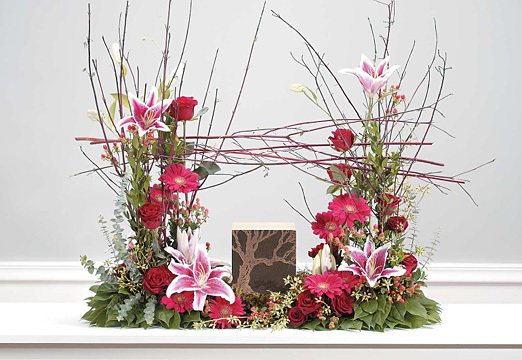 You can easily incorporate branches into the funeral flower display yourself, creating a sense of unification in the memorial service table arrangement. The brilliant colors in the Orange Rose Memorial Service Table Display give the impression of fall – the beauty of nature in its last blush of glory, preparing for rest in anticipation of a spring renewal. The urn pictured here is the Embrace Earthurn, an eco-friendly biodegradable urn ideal for conscientious ground or water burial. The center of the urn is a photo frame, allowing you to insert a photo of your loved one. Was the deceased a traveler? Use a suitcase filled with flowers, globes, or other travel-related sundries to accent the urn display table at the memorial service. 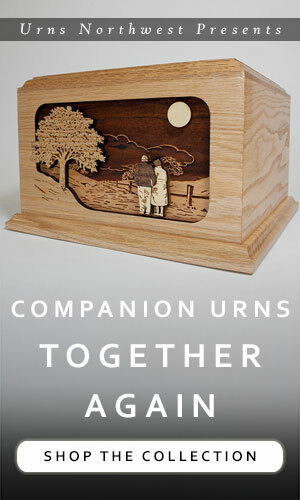 The old-fashioned style of our Sonata Cedar Wood Cremation Urn pairs perfectly with antique books. For the lifelong avid reader, decorate the memorial service table with an arrangement of old books and other ancient accents. How do I arrange a cremation? Next post: Mailbag: Do any of the cases fit a 5′ X 8′ military burial flag?